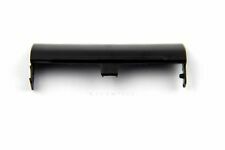 One piece Hard Drive Door Caddy Cover for Dell Latitude E6320 E6420 E6520 with Screws. E6320 E6420 E6520. Give us a chance to make things right for you, and we will do our best to provide a fitting solution. E6320 E6420 E6520. 2 pcs each caddy screws. 2 pcs hard drive covers. For Dell latitude E6320 E6420 E6520. We might require you to send us photo/s of the item received and also your original item so we can compare and conduct necessary actions. This is our SOP, for us to be certain and for record purposes. Works in E-Modular Bay of Latitude E6520, E6530, E6420, E6430, E6320, E6330. This is a nicely finished product. The black plastic faceplate/bezel is molded to match the curves of the laptop. The rest of the caddy is manufactured in a combination of aluminum and stainless steel for heat dissipation and to also reduce EMI noise. FOR DELL LATITUDE E6320 E6420 ATG E6520. We might require you to send us photo/s of the item received and also your original item so we can compare and conduct necessary actions. with screw. This is our SOP, for us to be certain and for record purposes. Compatible Notebooks:Dell Latitude E6320 E6420 E6520. Hard Drive Caddy Size: 2.87" x 0.94" x 0.51" ;. Dell E6520 E6430 E6330 E6420 E6320 E6530. This Serial ATA Hard Drive Adapter lets you add a second hard drive to the laptop systems. Add this caddy to your laptop to give you another hard drive. Simply remove your CD/DVD-ROM drive and put the Caddy (with the added hard drive) in its place. Works in E-Modular Bay of Latitude E6420, E6520,E6320,E6430,E6530,E6330. Add this caddy to your laptop to give you another hard drive. Simply remove your CD/DVD-ROM drive and put the Caddy (with the added hard drive) in it's place. Dell Latitude E6320 E6420 E6520. Caddy cover 1 screw. -Hard drive, is not included. 10x HARD DRIVE CADDY COVER SCREW FOR DELL LATITUDE E6320 E6420 ATG E6520. FOR DELL LATITUDE E6320 E6420 ATG E6520. We might require you to send us photo/s of the item received and also your original item so we can compare and conduct necessary actions. Dell Latitude E6420 E6520 E6320 E6430 E6530. The 2nd Hard Disk Drive Caddy / Adapter to bring you new maximum data storage flexibility. With the second HDD in your Laptop, you can speed to backup important applications and critical data. Trending at $8.54eBay determines this price through a machine learned model of the product's sale prices within the last 90 days. Dell Latitude E6320 E6330 E6420 E6430 E6520 E6530 2ND Hard Drive Modular Bay Caddy. Dell Latitude E6430. Dell Latitude E6530. Dell Latitude E6420. Dell Latitude E6520. Dell Latitude E6320. Dell Latitude E6330. Compatible with: Dell E6420. Dell E6420. ◈ 250 Labels Per Roll. ◈ 450 Labels Per Roll. 10pcs Hard Drive Cover Caddy. ◈ Round Corner Labels 8.27x5.32. 100 CT 8" x 12" Vacuum Food Sealer Storage Saver Freezer Bags Quart Sized 4Mil. DELL E6420 E6520 E6320 E6430 E6530 E6330. Original panel ejector is From E6420 computer. Slight wear, but does not affect use. 1 x 2ndhddcaddy with Original panel ejector. Simply pull out your CD/DVD drive and replace it with our optical bay hard drive caddy. Compatible with: Dell E6420. Dell E6420. 10pcs Hard Drive Cover Caddy. ◈ Straight Corner. 4"x6" Direct Thermal Labels. 60 Rolls of 1000 2.25x1.25 Direct Thermal Perforated Labels Zebra LP2824 TLP2824. To Fit : Dell E6320 E6420 ATG E6520. Dell E6320 E6420 ATG E6520. 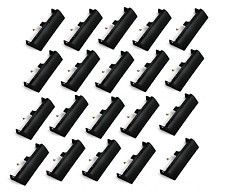 20pcs Hard Drive Cover Caddy 20pcs Screws. Label Tape. ◈ 8.5x5.5 Round Corner. 5 Pcs Outdoor Solar Path Lights Garden Led Lights Landscape Pathway Yard Lawn. 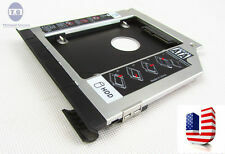 Hard Drive Caddy Cover for Dell Latitude E6320 E6420 E6520. for Dell Latitude E6320 E6420 E6520. We might require you to send us photo/s of the item received and also your original item so we can compare and conduct necessary actions. 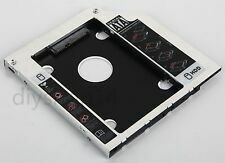 For DELL LATITUDE E6320 E6420 HDD Hard Drive Caddy Cover with Screw. Compatible with: DELL LATITUDE E6320 E6420. 17 x 11 Magnetic Dry Erase Refrigerator Calendar Board Monthly Organizer Planner. 16 x 12 Magnetic Dry Erase Refrigerator Calendar Board Monthly Planner Black Set. Compatible Notebooks:Dell E6320 E6420 ATG E6520. Compatible Notebooks : Dell E6320 E6420 ATG E6520. 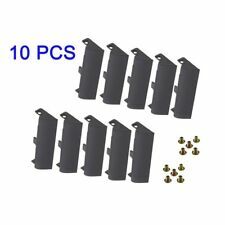 10pcs Hard Drive Cover Caddy 10pcs Screw. Label Tape. 5 Pcs Outdoor Solar Path Lights Garden Led Lights Landscape Pathway Yard Lawn. 2 Hard Drive Cover Screws. 2 Hard Drive Covers. Item Features: 1 Best replacement for your cracked/damaged/faulted Caddy Cover; 2 Plug and play, easy to use; 3 Reliable quality, easy to use; 4 Fast & Reliable connection in laptop, just as the primary HDD Compatible Notebooks:Dell Latitude E6320 E6420 E6520 Item Specification : *Hard Drive Caddy Dimension: 2.87 x 0.94 x 0.51" / 7.3 x 2.4 x 1.3 cm (L x W x H); *Color: Black; *Material: Plastic *Compatible with Dell Latitude E6320 E6420 E6520 *Condition: Brand New *Package Content : 20 pcs Hard Drive Cover Caddy. 10x HARD DRIVE CADDY COVER SCREW FOR DELL LATITUDE E6320 E6420 ATG E6520. Compatible with: Dell E6420. HARD DRIVE CADDY COVER. LED Fog Light. ◈ 250 Labels per Roll. ◈ 450 Labels per Roll. 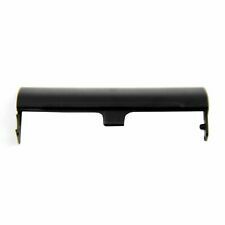 For Dell Latitude E6430 E6530 E6330. 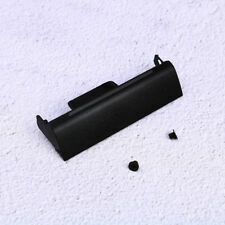 TEN pieces Hard Drive Door Caddy Cover for Dell Latitude E6320 E6420 E6520 with Screws. E6320 E6420 E6520. Item Features: 1 Best replacement for your cracked/damaged/faulted Caddy Cover; 2 Plug and play, easy to use; 3 Reliable quality, easy to use; 4 Fast & Reliable connection in laptop, just as the primary HDD Compatible Notebooks:Dell Latitude E6320 E6420 E6520 Item Specification : *Hard Drive Caddy Dimension: 2.87 x 0.94 x 0.51" / 7.3 x 2.4 x 1.3 cm (L x W x H); *Color: Black; *Material: Plastic *Compatible with Dell Latitude E6320 E6420 E6520 *Condition: Brand New *Package Content :500 pcs Hard Drive Cover Caddy. Item is used and may have scuffs, scratches or signs of wear. Look at pictures for details. Item has been fully inspected and is in good condition. Pulled from working unit. Compatible Notebooks : Dell E6320 E6420 ATG E6520. Dell E6320 E6420 ATG E6520. ◈ Jar Labels. Solar Powered Mason Jar Lid Light 20 LED Fairy Light String Lights Garden Decor. 3 Kit 1/4" In Line Fuel Gas Filter Shut Cut Off Valve Clamp For Briggs Stratton. (For Sale is aDELL CN-077K4N. This DELL CN-077K4N is in excellent condition and ready to be redeployed. 5) 100% Authentic and genuine products. But our number one goal is to help you! We will be happy to help you with anything about our products. Compatible Notebooks : Dell E6320 E6420 ATG E6520. Compatible with: Dell E6320 E6420 ATG E6520. Dell E6320 E6420 ATG E6520. 10x Diamond Crystal Door Dresser Knobs Drawer Furniture Pull Handle Cabinet Lots. 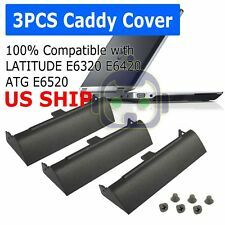 Compatible with: Dell Latitude E6320 E6420 E6520. Dell Dell Latitude E6320 E6420 E6520. 10 0pcs Hard Drive Cover Caddy. 100pcs Screws. Plug and play, easy to use. ◈ 250 Labels Per Roll. ◈ 450 Labels Per Roll. Compatible with: Dell E6320 E6420 ATG E6520. Dell E6320 E6420 ATG E6520. Stainless Steel Deburring External Chamfer Tool Drill Bit Remove Burr Trim Shank. 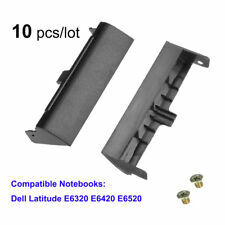 Compatible Models : For Dell Latitude E6430 E6530 E6330pply. Additional hard disk drives allow you even more storage space, and adding a solid-state drive gives you blazing read and write speeds. If you have a Dell Latitude E6420 laptop that wasn't designed to accommodate an additional 2.5-inch HDD or SSD, then make room for another with a Dell E6420 caddy, which uses the modular bay for the optical drive and adapts it for an additional storage drive. You may find the following information useful as you search for what you want on eBay. Does it matter if you install an SSD or HDD? No, it does not. What matters is the form factor. All drives suitable for this Latitude are 2.5 inches, and all Dell E6420 caddies accommodate this form factor. Therefore, any standardized 2.5-inch drive should fit the caddy and work when the laptop is turned on. Do these caddies support all HDD and SSD models? Yes, they should. As long as the drive uses the 2.5-inch form factor and has an appropriate height, whether it's 5, 7 or 9.5 millimeters high, then the brand, model, and so forth of the hard disk drive or solid-state drive shouldn't matter. Is it possible to use an optical drive, too? Connecting an external optical drive: You could use an external optical drive connected via USB or a similar port. Swapping the Dell E6420 caddy: Additionally, it's possible to swap the caddy and optical drive as needed, but it does not support hot swapping. Does the Dell E6420 require a specific caddy? The caddy you choose must support the Dell E6420, but be mindful that the optical drive is not proprietary but rather a drive you can use across many different brands and models. Many of the Dell E6420 caddy models available support a broad range of Latitude laptops and some even support non-Latitude laptops and even some non-Dell laptops, too. What is a Dell Latitude E6420 hard drive caddy? A Dell E6420 2.5-inch HDD or SSD caddy or tray is hardware used to facilitate a Dell Latitude E6420 SSD upgrade or HDD upgrade. These Latitudes shipped with a 2.5-inch HDD, and that compartment is an appropriate size for either a 2.5-inch HDD replacement or a 2.5-inch SSD upgrade. If, however, you want a second HDD/SDD, there's no second compartment, and the optical drive modular bay must fit for that instead. A caddy hosts either a 2.5-inch SSD or HDD but is sized for the bay and slides in and clicks in as a CD-ROM, a DVD-ROM, or another optical drive would. Content provided for informational purposes only. eBay is not affiliated with or endorsed by Dell.